This post aims to detail the steps involved in changing the source and target systems associated with an HCI-DS task. In general, an HCI task uses one source Datastore and one target Datastore. The HCI server and Data Services agent have adapters and logic that determine which kinds of systems can be a source. In contrast, only certain data stores can serve as the target. For example, flat files and IBP can be target systems. This document assumes the HCI task has already been created, the Datastores for its source and target systems work, and all necessary tables have been imported. Check with the basis and security team which ABAP execution option configuration the current and new source systems should have. The steps are different for certain types of Datastores. This assumes the current and new source systems are the same, with the same tables and naming. For example, the steps here would not apply if the source system changes from ECC to APO. If the source system is an ECC or S/4HANA system, then changing between the two systems first requires adding a configuration to the existing source system’s Datastore. Next, an existing or new system configuration needs to use this Datastore configuration. When the task or its design-time time executes, select the new System configuration in order to use the new source system. 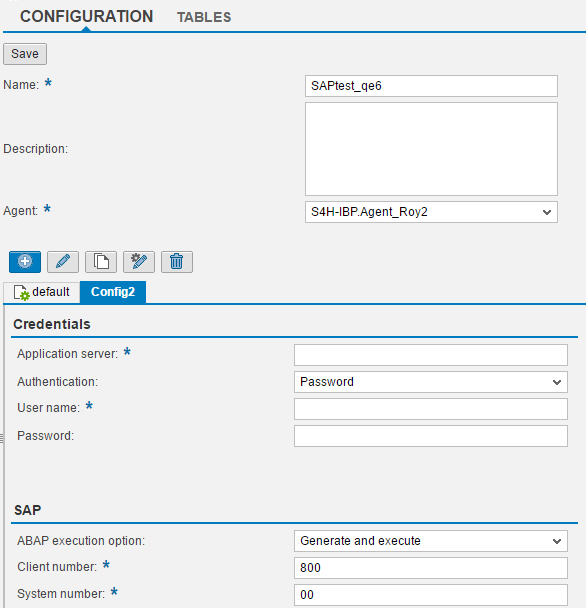 *This step assumes all the required configurations and ABAP code transport have already been implemented in the new source system. If the requirement is to use a different flat file with a similar format to the current file, in the same directory, only the input file name in the HCI Dataflow needs to be changed. If the new source flat file has a different format, but is in the same file directory, you have to first add the new file format to the current flat file Datastore. If the new source flat file is in a different directory, and you no longer need/use the current file directory, then just change the flat file Datastore Configuration’s Root directory. Oftentimes, changing the IBP source means changing the planning area. The Datastore stays the same. In this case, only the source table needs to be changed in the HCI dataflow, but make sure the new table has been imported to the IBP Datastore. Afterwards, simply use the table tile to import the new table. This guide focuses on switching between SAP IBP and between flat file target systems. Similar to the case with IBP as the source system, changing the IBP target system usually means changing the planning area. 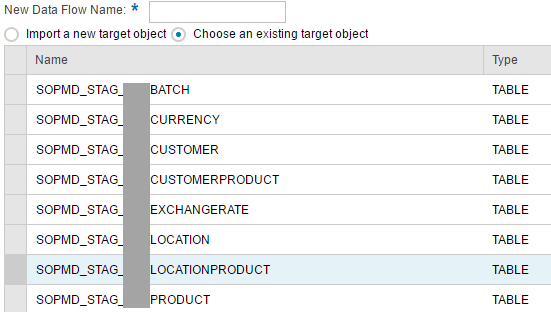 Make sure the new target table has been imported to the IBP Datastore. Afterwards, use the ‘Copy to new target’ option within the HCI task to select the new target. Double check that the field mappings are correct. If the requirement is to use a different flat file with a similar format to the current file, in the same directory, only the target file name in the HCI task needs to be changed. If the new target flat file has a different format, but is in the same file directory, you have to first add the new file format to the current flat file Datastore. Afterwards, in the HCI task, use the “Copy to new target” option and pick the new file format. Within the dataflow, you can edit the target file name, similar to above. Check and fix the syntax and retry the operation. -1;$G_BATCH_COMMAND= ‘INSERT_UPDATE’;$G_SCENARIO= “;>. Check the syntax and try again.